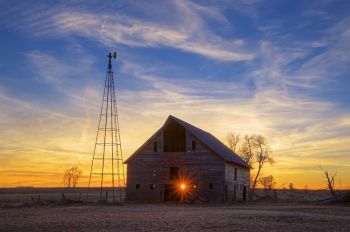 Brilliant sunset over a Bon Homme County barn and windmill. 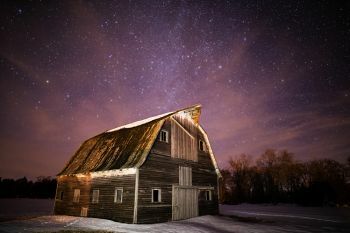 Winter stars over a Charles Mix County barn. Marshall County barn with abandoned house. 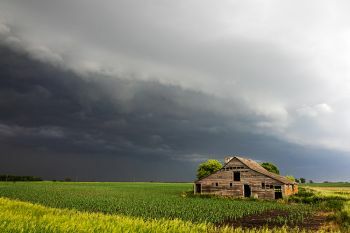 Marshall County barn under a building storm. 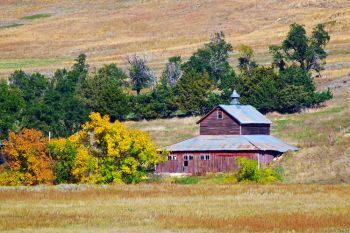 Marshall County barn with autumn accents. 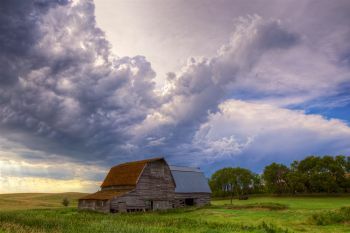 McCook County barn with approaching storm. 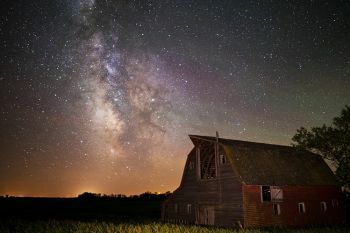 Kingsbury County barn with Milky Way. 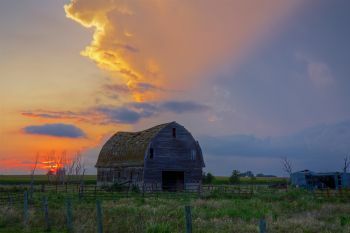 McCook County barn after a severe storm. 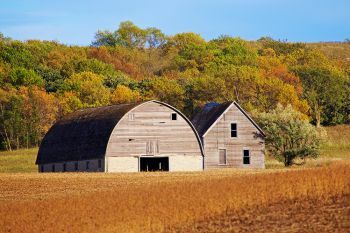 High corn and autumn accents with a McCook County barn northeast of Salem. 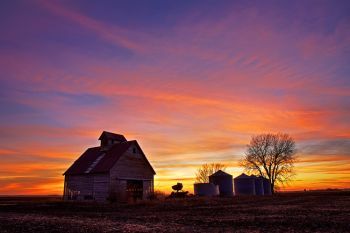 Outbuildings and grain bins along the Clay and Union County line at sunset. The last light shining through the dust of the day’s work. 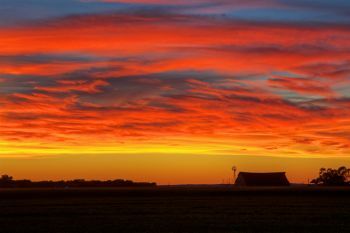 A glorious sunset in rural Clay County. 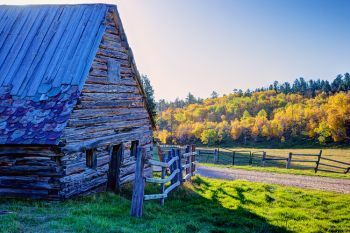 Looking back at the thousands of photos I’ve taken while traveling countless miles across this great state, I’ve learned that there are five things that folks love to see in photos. 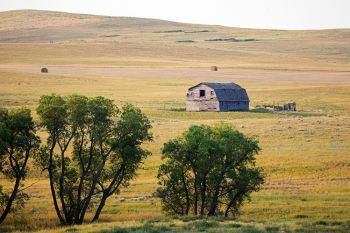 The first is a prairie windmill, followed (in no particular order) by abandoned houses, country schools, country churches and arguably the most popular: a good, old-fashioned barn. 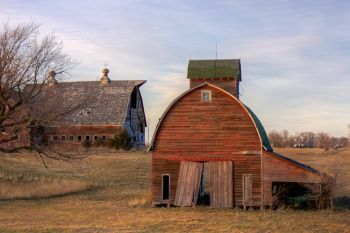 I’ve had more than a few people tell me that my next photo project should be on barns. I don’t disagree. 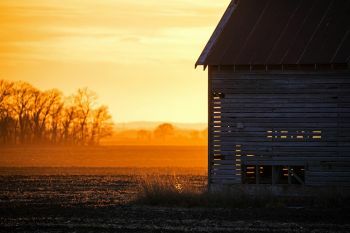 I’ve found myself stopping to shoot barns that I find interesting any time the mood and light seem right. 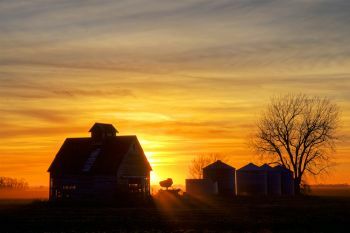 A farmyard barn holds nostalgic place in most people’s hearts, even if they’ve never set foot on a farm. 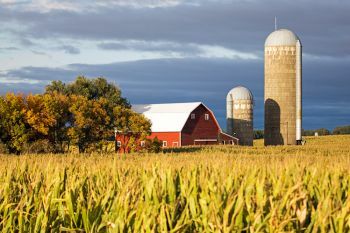 From famous childhood stories like Charlotte’s Web to an occasional trip to visit cousins who lived in the country, barns seem to be a common thread running through our rural state. Our barn wasn’t anything special. It did have 15 minutes of fame during the winter of 1996-97 when the snow was so high and hard that a yearling steer walked all the way to the roof. The photo my mom took of that scene made Phil Schreck’s KSFY Weathercast. Otherwise it was a pretty typical barn, both a place of refuge and a dreaded place of sweaty, smelly work. In my lifetime, it started out as a place of bum lambs and then turned into a milking parlor with wood stanchions and four fancy electric milkers. 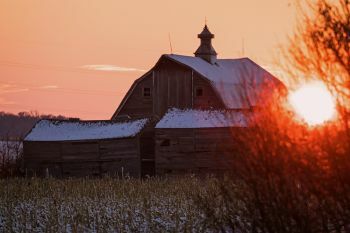 Every morning and every night, some or all of the family would find themselves working in that barn. But we also found ways to amuse ourselves amidst the drudgery of chores. The scent of straw bales still reminds me of lollygagging with the week-old kittens in the haymow while my older brothers finished the milking chores below, occasionally yelling for me to climb down and help. 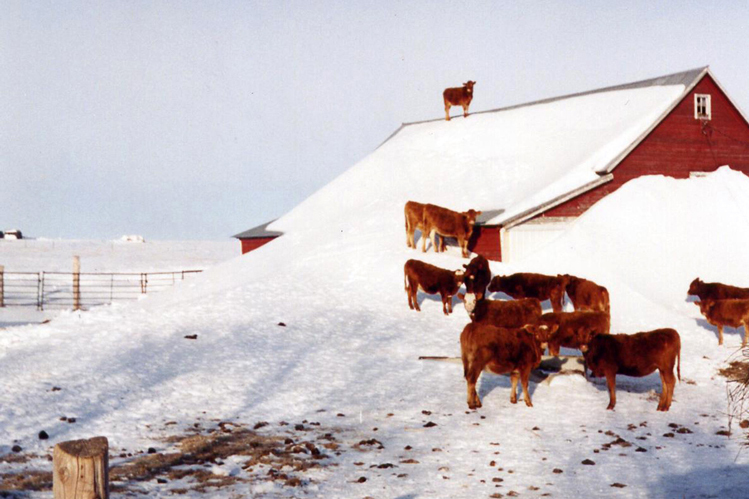 A Begeman calf climbs a snowdrift to the roof of the barn during the severe winter of 1996-97. Our neighbors had horses, and occasionally I would be asked to help with chores when they went on trips or vacations. There is something about the smell of horse and leather that still makes me smile and think of our fine neighbors. Their grandkids would often visit, and being near in age to me and my brothers we’d play all sorts of games in the barns and outbuildings of both our places, including basketball on the wood upper wood floor of one of the barns and various crazy Laff-A-Lympics competitions made popular by the late ’70s Hanna Barbara cartoon we’d all watch on Saturday mornings. Whoa, how’d I get to ’70s cartoons? It’s no mistake the writers of the award-winning war movie Saving Private Ryan centered one of the most poignant and humanizing scenes of the film in a barn. Just before the final battle, Ryan laments that he can’t remember the faces of his brothers. 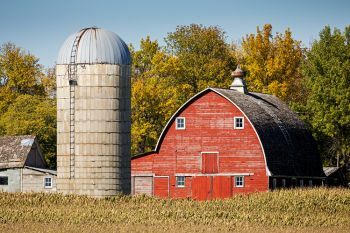 After mentioning it to the captain, he then recalls hijinks in the family barn, ending the story laughing about how the barn nearly burned down … then a pause. Then the realization of that memory being the last time they were all together washes over his face and out into the audience. Even for an, “I won’t cry while watching a war movie” guy like me, that put a big old lump in the throat. So here’s a collection of barn photos from the last couple years. 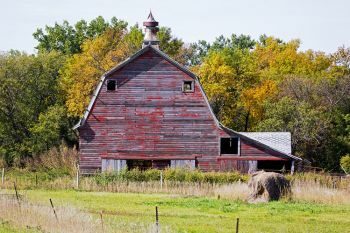 Many of these barns are old and may not last another year, while others are still bright red and being used daily. Maybe they will conjure a few memories of your own barn experiences to share. I hope you enjoy them. Great work, my friend! 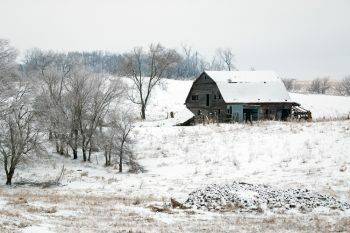 There is something evocative about a barn, especially one that has seen its better days. I think I recognize two of your McCook County subjects. They aren't far from where I grew up where, I'm sorry to say, my grandfather's barn and all the other buildings are gone. 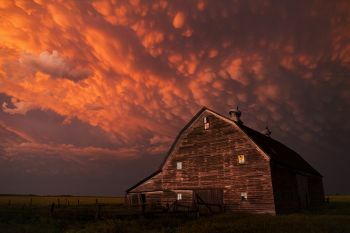 Loved your barn photos and also your story. Nice Job! Very beautiful. 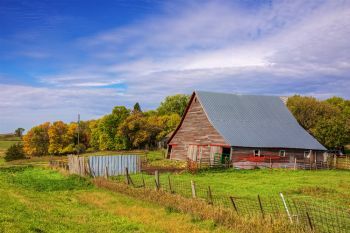 Old barns, windmills, beautiful prairies, fields of grain, colors of fall, snow scenes, I can hear the crunch of walking on hard snow. Here in Hemphill Texas we had snow last night which was still on the roof tops at seven a.m., quite rare for a snow scene in this area. Always enjoy your photos and articles. Took a few minutes to finally purchase a subscription to SD magazine after simply loving it every time I come across it. 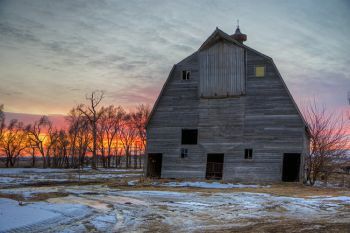 Your barn shots are simply a beautiful bonus for me snooping around the site on a cold Friday night. I talked my husband into building me a new(looks old) RedBarn a few years ago. 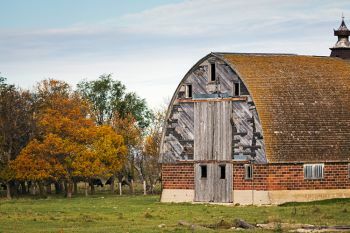 But these old barns really steal my heart! Thanks for stopping on every country road that you did and your perfect story to accompany.